Peach Wedding Decorations Ideas – Winter requires rich, warm colors velvet purples; deep reds; ebony greens; earthy browns; luxury plums. Spring loves fresh colors: shades of lush evergreen; bright delicate yellows; blushing pink; pastel shades. Summer seems to hold her own with paler colors: shades of soft lilac; sea blues; sunshine peach; bright whites; clean ivory. Autumn cries out for deep amber yellows, burnt orange, bold gold and rich creamy chocolate. Every season has her favorite colors. Use this knowledge to your advantage. Tweak it a little and make it your own. 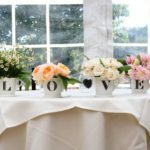 Are you using a favorite flower in your bouquets, flower displays and button holes? 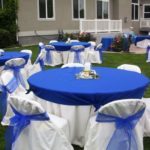 Your wedding colors will need to reflect the color of the flowers and enhance your choice. Perhaps you already have a favorite color, simply build from this and introduce other colors. For example: Peach, yellow and pale green are wonderfully understated together. 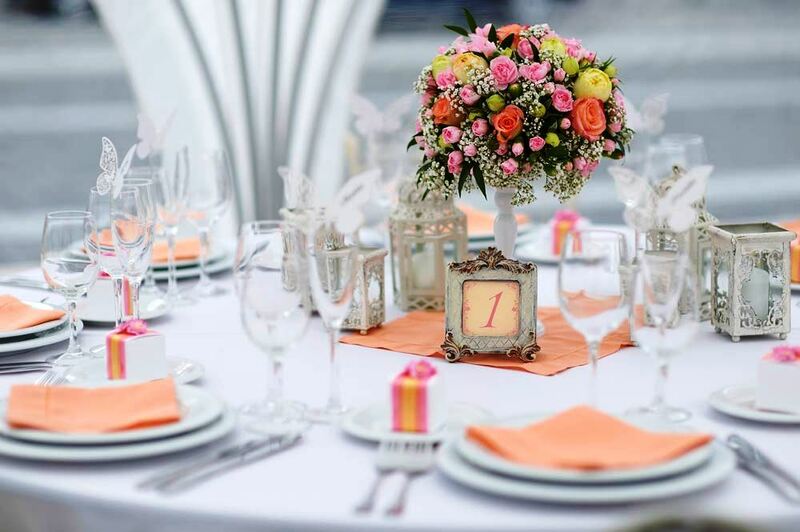 However red and white create a beautiful dramatic effect with the color peach. Slightly different shades of the same color as mentioned above also work as do bold colors like deep purple with pale colors such as Lilac.